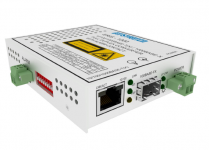 BITSTREAM is a Polish manufacturer of professional equipment for data, voice and video communication netw orks (PDH, ISDN, SDH, Ethernet, CWDM, DWDM),security systems, industrial automation and others. 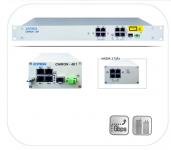 Our main groups of products are: optical and electrical multiplexers, telecom testers, optical converters/regenerators, interface converters, ethernet switches, modems, central measurement and control units and SFP, SFP+, XFP, GPON transceivers. As one of the largest manufacturers of equipment for data communication networks in Poland, we off er stable solutions, technical support and service.Our greatest clients are telecommunications and energetics, army, public and administration services as well as ISP, integrators, IT services and companies from the industrial automation.